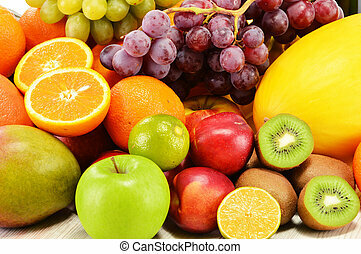 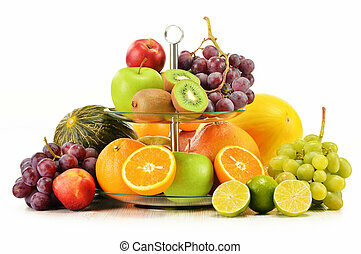 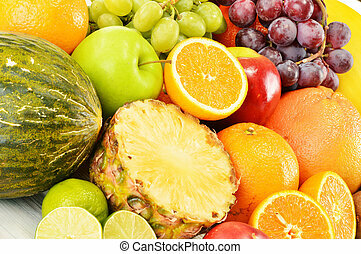 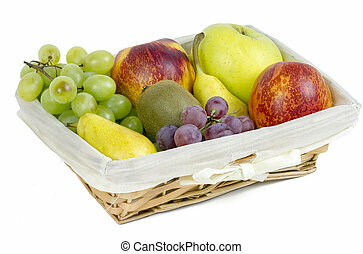 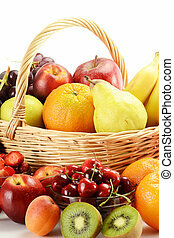 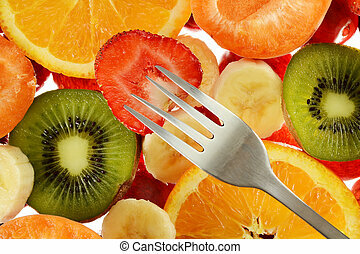 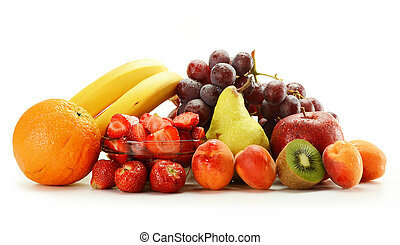 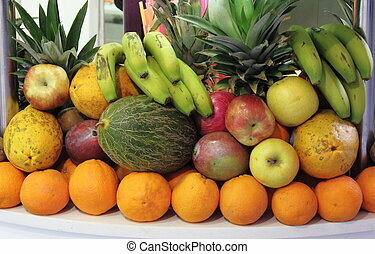 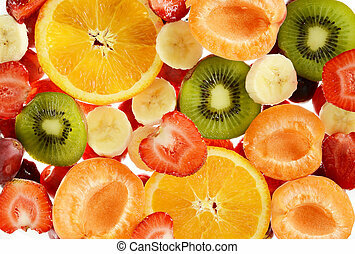 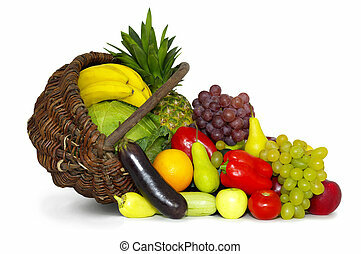 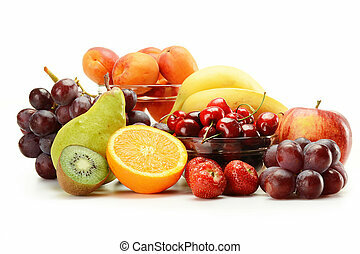 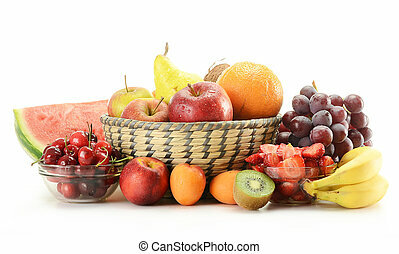 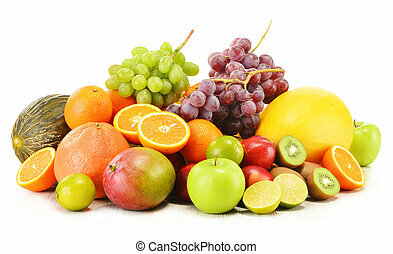 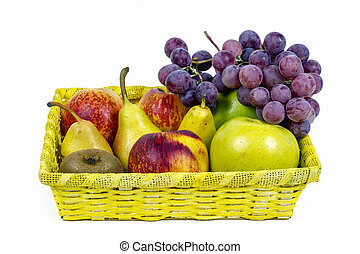 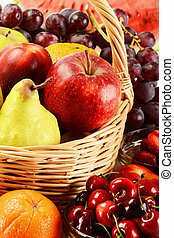 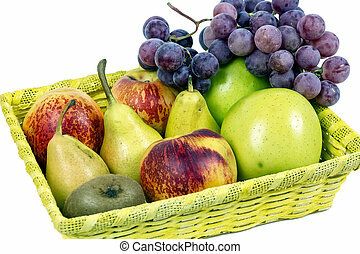 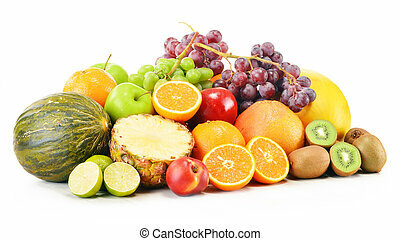 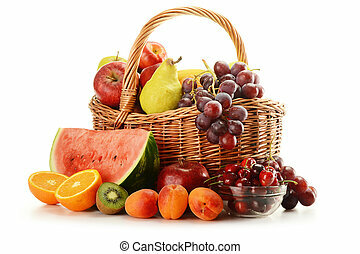 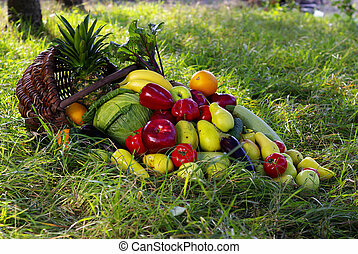 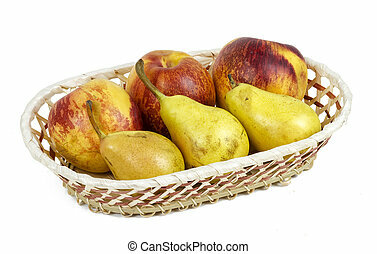 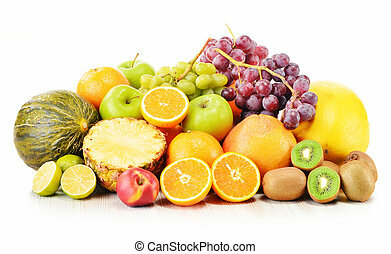 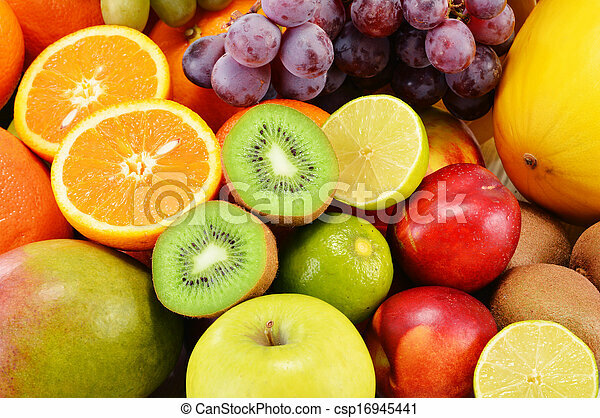 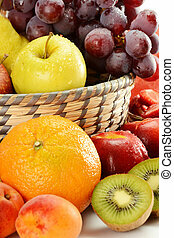 Composition with variety of fruits. 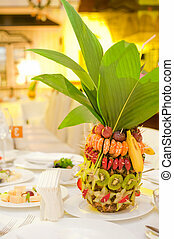 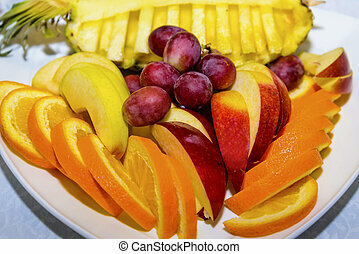 Composition of fruits on pineapple with banan leafs. 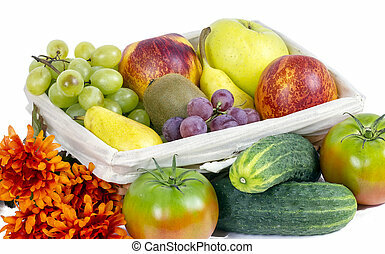 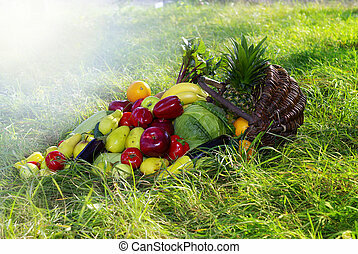 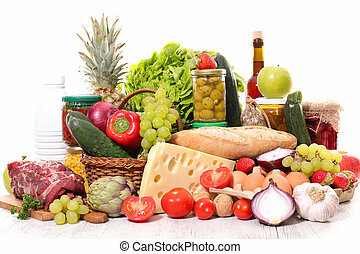 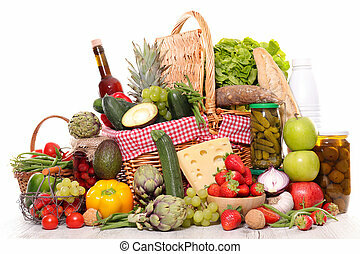 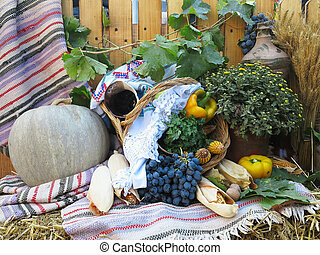 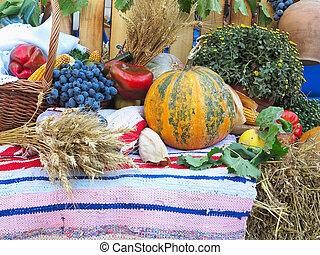 composition with a variety of organic vegetables and fruits over carpet.